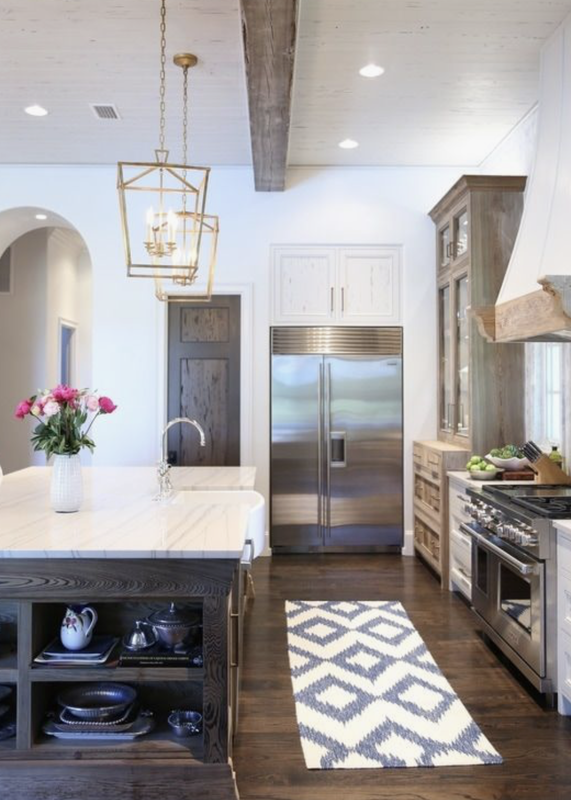 Making the decision to re-design your kitchen often starts with an eye soar , but develops into a full fledged plan to get the most for your time , money and energy while in the kitchen. We may want the colors to be spot on , but there are so many other details to make your kitchen great. Without organizational storage , why bother? You are so busy , with so many appointments and dates , a kitchen that isn't highly organized and designed for the way you live is not even worth bothering. Please remember the lighting, it changes the entire mood of the kitchen. Your recessed lights need to be the right size and wattage. It would be better to go with a higher watt and put the lights on a dimmer so you can control the mood and need for light. In addition, decorative pendants add additional lighting for using the island and can act as mood lighting when set on a dimmer. These look beautiful but also serve as a functional use when entertaining. Under cabinet lighting can be used for additional lighting when performing a certain task , like baking, or making a sandwich. These also can be left on at night so the kitchen is never completely dark. Instead of fumbling around in the pantry for the coffee maker , build it in. If coffee is your or your spouses go to every day, set it up the right way. Design into one of your cabinet spaces. It will free up the counter and it looks really sleek. This goes for the refrigerator also, you will get much more space with a custom fridge and it fits so nicely in a custom designed kitchen if your budget allows for it. Seating is one of the most important elements in the kitchen. We have all experienced wanting to have a big family dinner and needing to pull in the office chairs and chairs from other rooms. Having a plan for the seating will eliminate this. Banquettes are a great way to achieve this. There is a lot of room for guests and they look awesome. You can add chairs as well and you will easily be able to seat 10 or more in a limited space.